The success of your kitchen improvement project greatly depends on the level of qualification of the contractor you hire for the job. That means, there is a need for you to be extra careful with your choice. Look for a service provider of custom countertops, Poway, CA that is proven reputable – a company that won’t let your money go down the drain. Step 1: Build a list of prospects. There are a number of ways that can help build your list of prospective providers of custom countertops, Poway, CA. You can make use of local directories online (e.g. Angie’s List, Yelp, Yellowpages, Google My Business) to find some companies with great reviews. You can also get recommendations from your community and that includes, of course, your friends, colleagues, and even from your neighborhood as they might have some good options in mind. Step 3: Trim down your list to the most qualified ones. After completing the items above, by now, you should be able to trim your list down to the most qualified ones. Shall we say, you trim it down to three. Step 4: Do another round of interview to pick your final choice. Now that you have a final list of prospects, it is time to do another set of interviews . This one will provide you an opportunity to ask clarificatory questions about the things that might be a little shady to you. After doing so, you should be able to choose the one that you think the most qualified to do the job. Step 5: Finalize your work agreement. Now that you have chosen a custom countertop contractor, it is time to finalize your work agreement. You should agree on terms and conditions, including on fees, project timetable, materials, the final design, among other pertinent details of your custom countertop project. It is important that you and your contractor are on the same page, so make sure that you read every single detail of the agreement before you close the deal or accept the contract agreement. Looking for a reputable provider of custom countertop, Poway, CA? 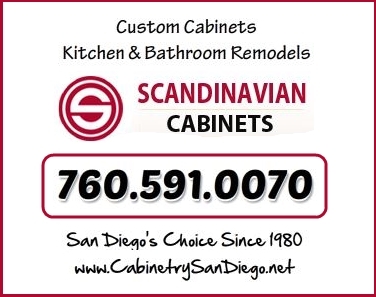 Contact Scandinavian Marble Design today at (760) 591-0070. Need Custom Countertops for a Kitchen in La Jolla CA? Custom Countertops La Jolla CA for the bathroom and kitchen are our specialty. We poured these custom concrete counter tops in place so we would have no seams. We learned this technic from another youtube video we saw but I felt people that wanted to do this needed a little more on how to do it. This was our first attempt and it came out great. Not to mention how much we saved over other styles. Thoughts on Wooden Countertops – Pros and Cons. Shannon from http://www.house-improvements.com/ shows you how to DIY build a laminate countertop with a bevel edge. If you have any questions about your home DIY projects, stop by the forum on our website and ask. Website: http://www.house-improvements.com Forums: http://www.house-improvements.com/forums/ Facebook: https://www.facebook.com/pages/House-Improvementscom/180657245288627 Twitter: https://twitter.com/House_Improve Video © 2014 SKS Media. Videos produced by SKS Media (House-Improvements.com) are provided for informational purposes only. The information contained in the videos is intended to give general guidance to simplify DIY (do it yourself) projects. Because tools, products, materials, equipment, techniques, building codes and local regulations are constantly changing, SKS Media cannot and does not assume any responsibility or liability for the accuracy of the information contained therein. Further, SKS Media will not accept any claim for liability related to, but not limited to, omissions, errors, injury, damage or the outcome of any project. It is the responsibility of the viewer to ensure compliance with all applicable laws, rules, codes and regulations for a project. The viewer must always take proper safety precautions and exercise caution when taking on any project. If there are any questions or doubt in regards to the element of a project, please consult with a licensed professional. SKS Media conducts all matters in accordance with the laws of Saskatchewan, Canada. Countertops are a great addition to your kitchen design as they can make it appear more luxurious. The shiny surface of your countertop will surely get noticed first when someone goes into your kitchen – be it a colleague visiting you at home or a homebuyer. Thus, adding countertop is a key consideration when you are planning for kitchen remodel, and a company that offers custom countertops Rancho Santa Fe, CA can be a great help to realize your plan. Why go for custom countertops? Stylish designs from various materials. Marble, quartz, and granite are great options if you want a high-end look. They are available in a variety of colors; choosing a more unique color will surely make your countertop a standout; however, if you want to save a bit of money, going for a more neutral color is the way to go. Made to fit your kitchen. Providers of custom countertops in Rancho Santa Fe consider the overall aesthetics and functionality of your kitchen when doing the remodeling tasks. You can expect that you have a countertop that is distinct, unique in shape, which best complements your kitchen size / dimension. 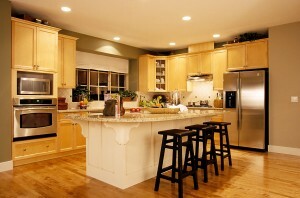 Even the area of your kitchen that has unique edges, angles or curves – custom countertops can be made to fit such area. Made to last. Custom countertops made from sturdy, durable materials can last so long; in fact, you will probably only have to change it when you want to replace it with a new design or color. So, when it comes to durability and functionality, custom countertops are really the way to go. Low maintenance requirement. With custom countertops, you can easily choose from among easy-to-maintain options. Quartz countertops, for example, won’t stain and is non-porous, making it very easy to clean; it has a low-maintenance requirement. Provides options for going green. Another benefit of custom countertops Rancho Santa Fe, CA is the opportunity to go green. Recycled glass countertops is one good example of going green in your design. So, if you want to save more money and at the same time become more kind to your home planet, going for custom design using eco-friendly materials is the way to go. For inquiries on custom countertops Rancho Santa Fe, CA, contact us at (760) 591-0070.